So the first three weeks of the season have come and gone and the senior teams have experienced a tough start. On week one the 1st XL went down by 1 wicket to Bunbury, after only setting the host’s 119 to win the bowlers did their best to pull the batsman out of a whole but sadly falling short at the end with Bunbury knocking it off 9 down. On the same day the 2nd XL also suffered with the bat, chasing 83 against Sandbach the 2nd’s were all out for 52. The teams were keen to get on the pitch and right some of the previous weeks wrongs, unfortunately the 1st XL couldn’t find the form with the bat again being bowled out for 143 with a Mike Dickenson 60 being the highlight of the innings, Kingsley quickly set about that total and eclipsed it for the loss of just 3 wickets. The 2nd xl where then left frustrated on week 2 by Winsford decision to declare the pitch unplayable, a decision that was questionable to say the least. 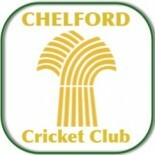 Two big improvements on week three saw the first real signs of improvement from both teams, the 1st xl notched up their first win beating Cholmondeley by 5 wickets after bowling the visitors out for 133 taking home 20 points and the seconds scored 109 away at Aston but unfortunately fell short of the target set by the hosts. This week the 1st xl travel to Disley with the seconds returning the favour to Disley’s 2nd xl. This entry was posted on May 7, 2014 by marcus9982 in Uncategorized.